Ever since the Republican Convention ended President Obama has been on a continuous attack painting the Romney /Ryan ticket as presenting out of touch ideas mired in the last century. “Despite all the challenges that we face in this new century, what they offered over those three days was an agenda that was better suited for the last century. It was a rerun. It could have been on Nick at Nite,” Obama said. So to better make that point, The DNC has prepared a formidable list of speakers who will demonstrate to the country what a forward thinking agenda the President and the Democratic Party are preparing to launch during his second term. With “FORWARD” as the campaign slogan let’s take a look at this planned list of distinguished and “in touch” convention speakers. 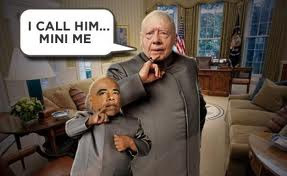 President Jimmy Carter (87): Another sanctimonious “citizen of the world” and until now the worst president in United States history, will give us a lesson on the economic malaise of the late 1970’s and why the current situation isn’t as bad. 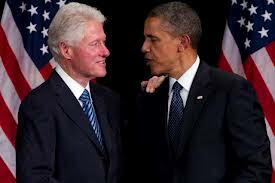 You and me against the world…..
President William Jefferson Clinton (66): Who at one point told Senator Edward Kennedy that Barack Obama “couldn’t even carry his bags” –will give the President some Clintonian advice on how to recreate the economic boom of 20 years ago. Forget Hope and change Barack…just get yourself a great White House intern! Vice President Joe Biden (69): Will now be forced to explain in detail why we are better off than we were four years ago. During a speech this past week-end, in Detroit, Biden affirmatively answered this question but said it was too hot for him to get into details. 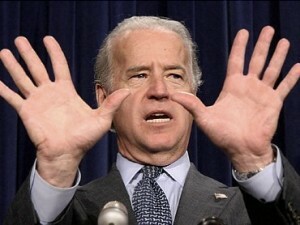 Does anyone wonder whether this man should ever be left alone no less be the Vice President of the United States? Yes….I can name a dozen reasons why were better off! 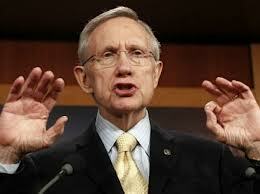 Senator Harry Reid (72): Will bring his secret source from Bain Capital and try to convince the 23 million unemployed in this country that the solution to the economy lies in the release of Mitt Romney’s tax returns. Following his speech he and Joe Bidenwill hold hands and be escorted back to the Happy Valley Retirement Community. Congresswoman Nancy Pelosi (72): Has been given a four hour prime time slot to explain what is contained in the Affordable Care Act. 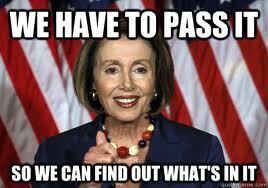 She had promised to reveal what was in the legislation after it was passed and it has taken her until now to read it. This will be a must watch moment. Eva Langoria: As it turns out the beautiful actress (conveniently Latino) is also an economic scholar and has joined together with other Hollywood glitterati to come up with a job creation plan. Rumor has it that Ms. Langoria will announce that the major studios plan to hire (in alphabetical order) all unemployed US citizens as extras in upcoming productions during the President’s next term. Sandra Fluke: Will describe the trials and tribulations she suffered as a student at Georgetown University because she had to bear the cost of birth control pills which severely depleted her finances. She will also describe her well deserved vacation in Tuscany to recover from this nightmare. This entry was posted on September 4, 2012 at 4:13 pm. You can follow any responses to this entry through the RSS 2.0 feed. Both comments and pings are currently closed.